The nationwide known Limes Museum in Aalen is part of the UNESCO World Heritage Site at the Roman Limes. The museum is currently being radically renewed and completely redesigned for didactic purposes – therefore the exhibition is currently closed. New concepts and 3D visualizations are being developed in which also virtual and augmented 3D data will play a key role. 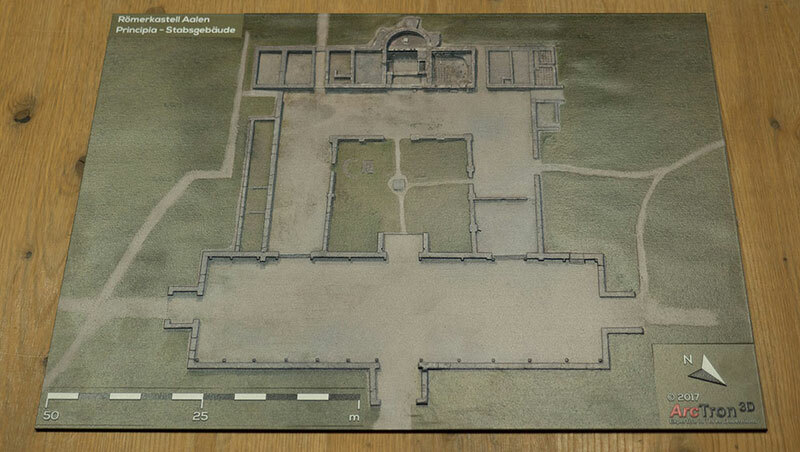 In spring of 2017, as part of conceptual preparatory work, ArcTron 3D was commissioned to generate complete and photorealistic 3D models of the Principia in the museum grounds and the St. Johann Church in very high-resolution quality. An industrial drone with a high-quality photogrammetry camera (Nikon D800E) and a terrestrial 3D laser scanner (RIEGL VZ-400) were used. In the course of the software-based 3D data fusion the team generated in the first step very high-resolution photorealistic 3D models. In further steps, ArcTron is currently working on the reduction and further use of data for real-time applications (virtual reality) and augmented reality applications. The existing 3D models are used to make the former appearance of the principia in an intuitive way. We will publish further project results right here at a later date. 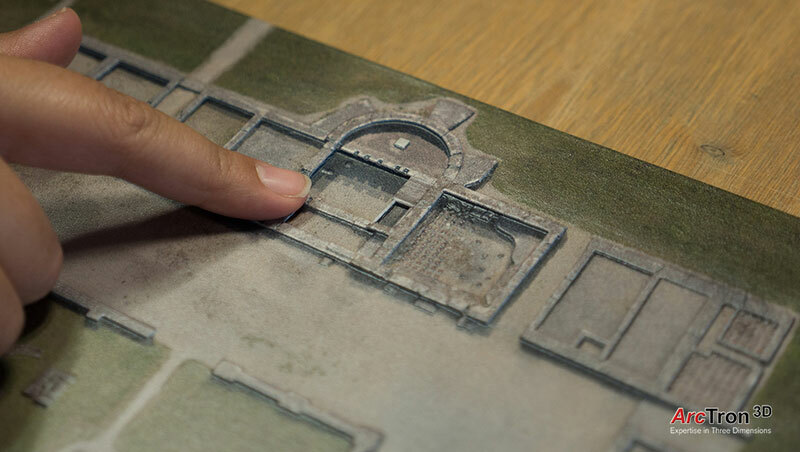 The layout map of the Principia was printed as a tactile high-res 3D relief print. It can also be used to display a three-dimensional floor plan of the building via an augmented reality app to interactively explore it.